Make waves in metallic Blue Mercury! The built-in metallic shine booster, with coconut oil, leaves hair gorgeously glossy for a shade that’s out of this world! I love this colour - i have naturally fair hair and this is just amazing. quite difficult to find this colour anywhere else as they are usually quite vibrant blue shades where i feel this is edging towards navy. would love if they produced a semi permanent version so i didnt have to use lightener (this kit contains a bleach) in my hair on every application. I used this on my dark brown hair.....have to say I was very impressed with the colour, and after 6 weeks it is still blue though slightly faded now and root growth a couple of cm's, but I wasn't expecting it to be this great,as my usual purple never lasts this long. I have just bought colour 00B in the hope of blonde first this time, and after a couple of days put this colour on top again, hoping for a much brighter finish. Fingers crossed it works. Initially very happy with the colour result but only lasted a few days . The roots to about 5 inches down are still that lovely blue but the rest has faded into a blue/greenish colour . I have never had a problem before using live colour but I’m rather disappointed with this one. Response from Schwarzkopf LIVE: Hello Michelle, we're sorry to hear of your quick colour fade. Make sure you're using moisture rich treatments at least once a week, to help keep any colour in the hair :) Thank you for taking the time to review! I currently have the U67 and U71 on my hair. The blue is on my roots and the silver on the ends. I can only say how much I love the metallic collection. The first time I used the blue it did fade quickly, but on the second use I took the time to to follow the instructions thoroughly. The step to wet the hair and thoroughly massage before finding is vital to preventing fading. Also I love that the dye doesn’t stain my white towels. It rinses right out in the wash. My only complaint is that using two packs is expensive. It would be nice if there was a mix and match offer available. But other than that this product is a 5 star. Awful! I would give this zero stars if I could. Put this on my light brown hair and it's made it slightly darker, with a few patches of sort of blue and mostly hasn't dyed it at all. Waste of time and money, avoid this product or you will be disappointed. I am now wishing there was a way to ge T my money back, so unhappy with this. Response from Schwarzkopf LIVE: Hello Alice, we're really sorry to hear of your disappointing colour result! We recommend you speak to our Colour Advisory Team, as they can give you the best help and advice with this. They can be reached on 0800 328 9214 or at consumer.advisory@henkel.com. Thank you! I was very happy with the results and will continue to buy this color! Very disappointed. The colour did not take at and has left me with tinges of blue. You can still see my natural hair colour. Definitely not worth the money and I will probably avoid this brand altogether now. Response from Schwarzkopf LIVE: Hello Emma, we're sorry to hear of your disappointment and can certainly appreciate the frustration caused. If you would like to speak to our Colour Advisory Team about this issue, they can be reached on 0800 328 9214 or at consumer.advisory@henkel.com. Thank you. This product was used on medium brown hair as suggested and barely made any difference, in fact it made the hair look grey in parts and was very uneven. I would not recommend this product at all, very disappointing. Response from Schwarzkopf LIVE: Hello Lisa, we're very sorry to hear of this. If you would like to speak to someone about this, please contact our Colour Advisory Team on 0800 328 9214 or at consumer.advisory@henkel.com. Thank you. I have used 2 of the new dyes one was this one but they both say permanent on the box yet both faded when I washed my hair a week after dying it, however I am still happy with the colour turnout. I always use your brand but these new colours are just not working. Response from Schwarzkopf LIVE: Hello Morgan, thank you for your review! If you would like to discuss this with our Colour Advisory Team, they will help further :) They can be reached on 0800 328 9214 or at consumer.advisory@henkel.com. Thank you! Poor quality barely took to medium blonde hair faded within 3 weeks. Now unsure if I can use any other products to change the colour as I can't find any information to tell me if this dye contains metallic salts? Response from Schwarzkopf LIVE: Hello AJ, sorry to hear of this. Unfortunately the Blue Mercury is recommended for use on deeper natural hair colours- Dark Blonde through to Medium Brown. This may have caused it to fade quickly. Please be assured that we do not use Metallic Salts in any of our hair colourants. The 'Urban Metallics' is just the name we call the range of products- not because they contain Metallic Salts. Hope this helps! I do hate leaving negative reviews, but I am afraid this product doesn't work. I have mid brown hair that had been un-dyed for a year and had pretty much grown out. I did see quite a number of poor reviews for this product, but thought I would try it anyway and give it the benefit of the doubt. I used three packs as I do have thick hair. I left it on for 40 minutes (over the 30 advertised on the box). I washed it off and dried my hair. Instead of blue, my hair was just a darker brown! Not a spec of blue in sight (even on my blonde bits and my roots which are a light mousey brown). No blue at all. Have I used this product incorrectly? Sorry again for the negative review, but it really hasn't worked for me. Response from Schwarzkopf LIVE: Hello Charlotte, we're sorry to hear of this! For best advice and help with this matter, please contact our Colour Advisory Team on 0800 328 9214 or at consumer.advisory@henkel.com :) Thank you for taking the time to review! Response from Schwarzkopf LIVE: Hello Mary, thank you for taking the time to review! Unfortunately, it sounds as though your hair was far too light for this shade to take as designed. The Blue Mercury is recommended for Naturally Dark Blonde through to Medium Brown hair colours. If you need any further help or advice with this, please contact our Colour Advisory Team on 0800 328 9214 or at consumer.advisory@henkel.com. Thank you! Response from Schwarzkopf LIVE: Hello Amy, we're sorry and concerned to hear of this, and can certainly appreciate the frustration and inconvenience caused. When you can, please contact our Colour Advisory Team for help and advice with this. They can be reached on 0800 328 9214 or at consumer.advisory@henkel.com. Thank you. Really disappointed- box shows suitable for my hair. Which is mid brown. Was really excited as love the colour. Followed instructions as always. (Have used “live” colours before) my hair isn’t blue in the slightest!! Pretty similar to my original colour with a slight browny/grey tint. Absolutely shocking! I've been using the turquoise for years with great results but thought I'd change to this as it was permanent and I hoped it would last longer... it didn't even dye my hair! It's still blonde! A slight bit of blue near my roots, nothing else. Disgusted with this product! Response from Schwarzkopf LIVE: Hello Sarah, we're sorry to hear of this, however, this shade is recommended for use on Naturally Dark Blonde through to Medium Brown hair colours. If used on Bleached/Lightened hair, we would not expect this shade to hold to the hair. Thank you for taking the time to review! Colour looks lovely when it works, used this colour 3 times now and I always have to use a second box because the first never sticks on my hair and left with blue streaks and my natural hair colour but after the second it's fine. Response from Schwarzkopf LIVE: Hi Kelsey! We recommend to top up any blue tone after using a permanent shade, to use the Ultra Brights Electric Blue. This will keep the blue tone refreshed, without compromising the hairs condition with continually using permanent colourants. Thank you for taking the time to review! Used this colour as I thought it looked incredible on the box, left it in for the time it told me. Washed it out and my hair looked vile, patches of blue and purple and brown, was not impressed sadly. Response from Schwarzkopf LIVE: Sorry to hear of your disappointing colour result Jodie! For best advice and help with this issue, please contact our Colour Advisory Team on 0800 328 9214 or at consumer.advisory@henkel.com. Thank you for taking the time to review! Response from Schwarzkopf LIVE: Hello Beth, we're sorry to hear of this! We'd love to be able to help you with this, so when you can, please contact our Colour Advisory Team on 0800 28 9214 or at consumer.advisory@henkel.com. Thank you for taking the time to review! 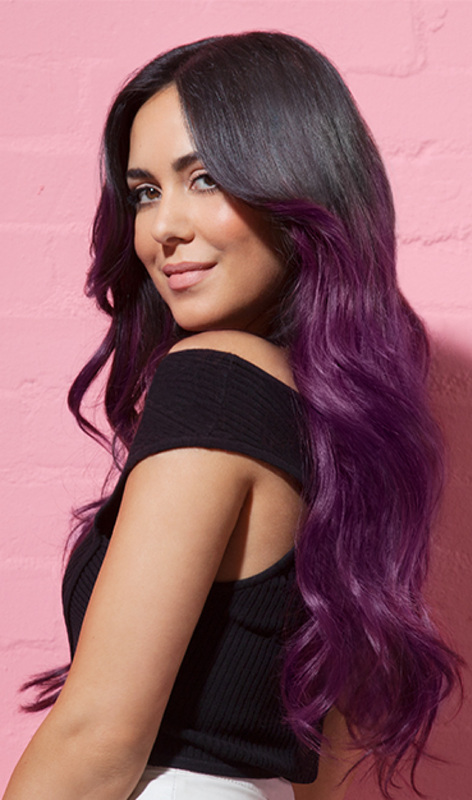 This colour looks absolutely amazing but only lasts 2 washes! I have stripped my hair and gone light blonde before applying and the result is great but it just does not stay in it goes really light/sliver after 2 washes. I have tried many times with this but same result. I used this on medium brown hair like it recommended, followed the instructions to the t, and when I dried my hair it wasn't blue. I didn't even have a hint of blue. If anything it made my hair a darker brown. Very disappointed as I'd chosen this blue because it said it would work on brown hair. Amazing colour very pretty obviously meant for lighter hair but the only downside is it faded so quickly! Response from Schwarzkopf LIVE: Hello Amy, thank you for your review! Sorry to hear the Blue Mercury faded quickly- make sure you're using moisture rich products, specially formulated for coloured hair after using a permanent colour :) Hope this helps! Stripped my hair twice before using as I was quite dark beforehand...applied to what was a very very light brown colour and NOTHING has happened. Nothing at all. I have (had) medium brown hair, which the packet showed would turn out nice. I am super disappointed, it has turned my hair dark brown/black and there is no blue tone! I left it on for the stated amount of time. I love this colour on my hair, the shade is exactly as the box and did not fade. I alway have my hair blue and this will be my preferred colour from now on as I do not end up leave blue everywhere, like clothes and pillowcases, as you get with a semi permanent colour. Saying that I am naturally dark, so I do bleach my hair prior to using this dye. Great colour to start with but I was back to blonde after less than a week. Shame it didn't last. Response from Schwarzkopf LIVE: Sorry to hear of your quick colour fade Emma! Make sure you use moisture rich products specially formulated for coloured hair, to help elongate the colour :) I hope this helps for your future colouring! I used in my light to medium brown hair and I’m very disappointed with how it turned out, instead of blue I’ve got a dark black colour which is nothing like on the box or advertised. I only use the live colours, but I have naturally dark hair and this didn’t come up on my hair at all! Little disappointed but will continue to use the love colours as on the whole they are fantastic. Absolutely heart broken! Left my hair for over 2 years so there wasn’t any old colours left. My hair was a very light brown with light blonde ends. My hair now is nothing even close to blue. It’s a cross between black and dark grey. I’m so disappointed. And now I can’t afford to buy any other colour or stripper to fix it! Response from Schwarzkopf LIVE: Hello Emma, we're sorry and concerned to hear of this! We would like to help you with this issue, so when you can- please contact our Colour Advisory Team on 0800 328 9214 or at consumer.advisory@henkel.com. Thank you for taking the time to review. Response from Schwarzkopf LIVE: Hi Marie, thank you for taking the time to review! We're sorry to hear that you've had no colour change! For best advice and help with this issue, we recommend you speak to our Colour Advisory Team on 0800 328 9214 or at consumer.advisory@henkel.com. Thank you! Absolutely 100% NOT suitable for any sort of brown shade, does not dye at all. I have fairly light brown hair with some bits of blonde round my hair line. Literally the only part of my hair that has gone blue is the blonde part at the front and I used two boxes. Now out of pocket and hair looks ridiculous. Not happy in the slightest, actually really gutted. Should have believed all the bad reviews and what a shame because the tiny part that did change colour has gone a lovely colour. If your hair is blonde or has been bleached go for it, otherwise seriously don't waste your time and money! Response from Schwarzkopf LIVE: Hello Kathryn, thank you for taking the time to review. We're sorry you've had a disappointing colour result, for advice and help with this- please contact our Colour Advisory Team on 0800 328 9214 or at consumer.advisory@henkel.com. Please note: we do not recommend this shade is used on bleached hair. Thank you! Response from Schwarzkopf LIVE: Hi Donna, we're sorry to hear of this! The Blue Mercury is only recommended on natural hair colour- bleached hair will cause the hair to become porous which will affect the way a permanent colour is absorbed into the hair. We recommend you contact our Colour Advisory Team for more help with this- 0800 328 9214 or at consumer.advisory@henkel.com. Thank you. After taking the previous colour out my hair and lightning it the finished result looks dark brown. The only thing that resembles blue is my scalp. Response from Schwarzkopf LIVE: Hi Samantha, we're sorry to hear of your disappointing colour result! The Blue Mercury unfortunately is not recommended for use on pre-lightened/colour stripped hair, it is designed to be used on your natural hair colour. However, if you would like further help or advice with this, please contact our Colour Advisory Team on 0800 328 9214 or at consumer.advisory@henkel.com. Thank you! This should not be advertised for dark hair I am absolutely crushed my hair is healthy, it was the darkest brown recommended on your that was OK to go to murcury blue and my hair is the right length for one box and it's a mess it clearly isn't for dark hair and now I'm stuck like this. It's gone blue but not the right shade it's left patches of this odd pale bleachy colour and some natural hair colour. My hairdressers can not help me she sent a sample of my hair to her colour specialist who told her there's nothing they can do to help me because stripping it won't work. I had doubts after the last product I used by you but tried anyway I shouldn't of bothered. I'm told with your colour I should of bleached my hair or dyed it blond so it shouldn't state on your box you are OK to use this colour from brown. Response from Schwarzkopf LIVE: Hi Jodie, we're very sorry and concerned to hear of this. We would like to be able to look into this issue further, so when you can, please contact our Colour Advisory Team on 0800 328 9214 or at consumer.advisory@henkel.com. Thank you. This hair dye didn't work at all. I've been using the cosmic blue colour for a couple of years and that works brillantly. However I had grown it out so try something new, so I tried this hair dye and it did not work. It only dyed the front of my hair, so the back and middle was the same colour it was before dying it. I had to buy the usual hair dye just to fix the issues. Very disappointed as it's supposed to be for light brown hair. Response from Schwarzkopf LIVE: Hi Emma, we're sorry to hear of your disappointing colour result! Unfortunately previous colour can act as a barrier for the next colour to take as designed. We recommend our permanent colourants are used on Natural hair colours, to be able to achieve the tones as depicted on the boxes. Thank you for taking the time to review! I used this dye exactly one week ago and I absolutely loved the colour, it was exactly what I wanted! But unfortunately after 3 washes it has already started to fade a lot even though it is a permanent dye:( i am completely in love with the original colour just wish it hasn’t already started to fade! Response from Schwarzkopf LIVE: Hi Karen, we're sorry to hear you didn't get the results you were expecting. Our permanent colours are designed to be used on natural hair. Using a colour stripper can still leave colour residues from the previous colour (even if they're not obviously visible) that can affect a new application. We'd love to help you further so if you'd like to, please give our Colour Advisory Team a call on 0800 328 9214 and an advisor will be happy to help. Thank you. Obviously isn't for dark hair because I'm naturally blonde and this has shown up just fine on my hair! Use it on lighter hair or strip your hair before use, then it'll be fine! Response from Schwarzkopf LIVE: Thanks for the review Rachael! It says it's for darker hair to be honest it's not these shades don't work on darker hair aswell as been applied to blonde hair. you see it's fashion colour like piller box reds, shocking pink says it works on dark blonde for the on the box results its blonde hair never works right on darker hair always blonde you get a better results aswells. Response from Schwarzkopf LIVE: Hi Tessa, thanks for taking the time to review! We only recommend this shade is used on Dark Blonde through to Medium Brown, we would not expect a colour result as depicted on the box if used on lighter blonde colours. Hope this helps! Don't bother - it hasn't left any blue at all! My hair was such a light brown and now it's BLACK! I am gutted and I can't even afford to bleach it back! Response from Schwarzkopf LIVE: Hello Marlie, we're sorry to hear of this! If you would like any advice and help with this, please contact our Colour Advisory Team on 0800 328 9214 or at consumer.advisory@henkel.com. Thank you for taking the time to review. I agree with previous review, I have not dyed my hair in over 18 months, followed instructions to the letter.... Not a hint of blue other than on skin. I have used live colours for many years, to be fair it's the only failure. Response from Schwarzkopf LIVE: Hi Kerry, thank you for taking the time to review! We're sorry to hear you've had a disappointing result, if you would like any help or advice with this, please contact our Colour Advisory Team on 0800 328 9214 or at consumer.advisory@henkel.com. Thank you. I was very much looking forward to this product. I had no previous colour on my hair and my hair is naturally a medium brown so this colour should have worked perfectly. Nothing happened! Well expect for my hair becoming a darker shade of brown. No blue! I have read other reviews and it seems the only time this has worked is on people with bleached hair. If that's the case, you should state that on the box. Extremely disappointing. Response from Schwarzkopf LIVE: Hi Sarah, we're sorry to hear of this! Sometimes if your natural hair contains red pigments, these can override the blue, leaving a natural result. As blue is not a natural tone found within the hair, it can be difficult to achieve if your hair is of a warmer tone. However we have forwarded your feedback to the Marketing Team for further analysis, and we thank you for taking the time to review! When you dye your deep purple hair with this colour and it is nothing like the colour (black/Grey colour). Response from Schwarzkopf LIVE: Hi there Shelby! Previous colour will unfortunately alter the results of any permanent colour, as the pigments will mix. For best results we recommend the permanent tones are used on your natural hair colour. Hope this helps! Response from Schwarzkopf LIVE: Hi Nikita, thank you for taking the time to review! Quick colour fade is normally attributed to an increase in your hairs porosity, we recommend you combat this by using moisture rich treatments at least once a week. I hope this helps! Response from Schwarzkopf LIVE: Hi Lauren, we're sorry to hear that. As with most colourants, colour results can be affected by your hair type and hair history, especially if you are applying to previously coloured hair. We would really like to help you further with this, so when you can please get in touch with our Schwarzkopf Advisory Service on Freephone 0800 328 9214 and an advisor will be on hand to help. Thanks. It was a very easy application and the conditioner was amazing! However, the colour did not come out according to the colour chart. It was different shades of blue which did look nice however it all washed out after two washes and left my hair looking a khaki colour. I was very disappointed as it stated that it was a permanent dye. Waste of money overall. Response from Schwarzkopf LIVE: Hello Hana, we're sorry to hear of this! Quick colour fade is normally attributed to an increase in your hairs porosity, we suggest using moisture rich products to help combat this. If you would like any further help or advice with this, please contact our Colour Advisory Team on 0800 328 9214 or at consumer.advisory@henkel.com. Thank you for taking the time to review! East to apply and left my hair feeling so soft, but my hair went from a pale peach to black. Maybe it was the before colour that was the issue, but the box did show it going from brown. My hair has tiny flecks of blue and purple, but this is only visible in the sun. Bit dissapointed it didn't come out the same colour. Response from Schwarzkopf LIVE: Hi Tabitha, thank you for taking the time to review! Previous colour can indeed alter the results of any permanent colour unfortunately. For best advice and help with this, please contact our Colour Advisory Team on 0800 328 9214 or at consumer.advisory@henkel.com. Many thanks. I have medium brown hair, and this colour is meant to dye it a beautiful colour. Instead it did not take to my hair, I even brought two just in case it wasn't enough, waste of my time, effort and money. I will be seeking to get my money back. You need to change its box to BLONDES only. As you DEFINITELY NEED bleached hair. One star because it is a nice shade. Response from Schwarzkopf LIVE: Hi Leigha, thank you for taking the time to review. We would not recommend this shade on Bleached hair. We can only assume that if your medium brown hair contained a lot of red pigments naturally, these pigments may have overridden the blue, leaving a natural colour. However we are sorry to hear of this, and if you would like any help and advice, please contact our Colour Advisory Team on 0800 328 9214 or at consumer.advisory@henkel.com. Thank you. Response from Schwarzkopf LIVE: Hi Lizzy, we're sorry to hear this! As the Blue tone is not a natural tone found in the hair, if your hair contains any natural red pigments, sometimes the red can override the blue- leaving a natural result. Thank you for getting in touch, your feedback has been forwarded to our Marketing Team for further analysis. Absolutely wrecked my hair, top of my head is bright blue and bottom is a light green colour. This is after bleach.. Not happy at all! Response from Schwarzkopf LIVE: Hello Christy, we're sorry to hear of this- unfortunately the Blue Mercury is not recommended on Bleached hair, it is recommended for use on Dark Blonde through to Medium Brown natural hair colour. We can assume this is why you have had a very uneven result using this colourant. For advice and help on this, please contact our Colour Advisory Team on 0800 328 9214 or at consumer.advisory@henkel.com. Thank you! Response from Schwarzkopf LIVE: Hi Chelsea, thank you for your review :) Stop the drunk hair colouring! Ha ha! So I stripped my hair before I used this product to go from dark brown to medium/light brown. Then I used this product on my hair, it did absolutely nothing! It just got rid of any brassy tones in my hair and made it darker. Gutted because I love the colour on the box. Have no idea why this did not work. Response from Schwarzkopf LIVE: Hi Zoe, we're sorry to hear you didn't get the results you were expecting. Our permanent colours are designed to be used on natural hair. Using a colour stripper can still leave colour residues from the previous colour (even if they're not obviously visible) that can affect a new application. We'd love to help you further so if you'd like to, please give our Schwarzkopf Advisory team a call on 0800 328 9214 and an advisor will be happy to help. Thank you.